In a few hours we’re on our way to China!! The first few days we will stay with Monica and Stian in Shanghai. We have booked a flight to Datong on Tuesday and plan to stay there for 2 nights. That should be enough to see the main sights (Yungang caves, The hanging monastery, Drum tower, Nine dragon screen etc.). We will try to catch a train from Datong to Beijing on Thursday and will spend at least 4 nights there. 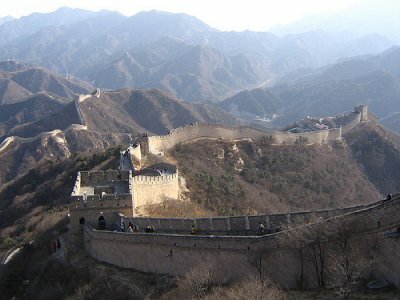 There’s a lot of things to see in and around Beijing, and we’re also concidering a 1 day hike on The Great Wall. Our plan after Beijing was to take the train to Lhasa, Tibet. But at the moment Tibet is closed (http://new.asianews.it/index.php?l=en&art=16384) so we will have to wait until we’re in China to plan/order the rest of the trip, and might have to change the itinerary a bit. No problem at all!